Sinclair Archives | Rich TAkes! is just getting worse and worse as millions of Americans are beginning to realize that they will no longer have much say in their own health-care, and are seeing their insurance costs rising, if they are fortunate enough to still have health insurance. This will not only affect individual health insurance plans, it will affect everyone’s insurance. It will affect YOU! 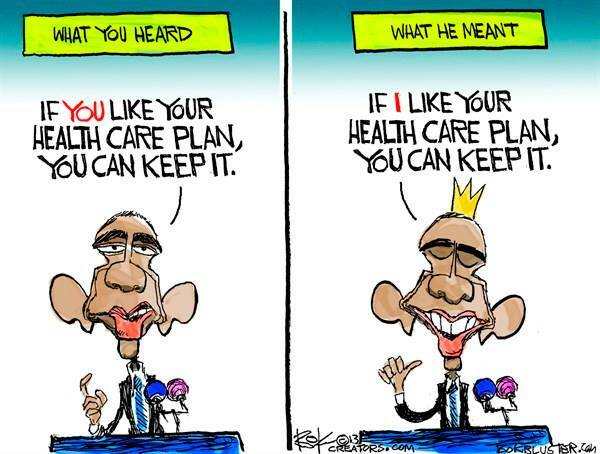 Obamacare was never designed to let you keep your insurance, or your doctor, if you like them, period. It was designed to take away your options, along with your health-care provider’s options. While you may have had dozens or hundreds of options in the past, we are now faced with a grand total of four choices, which are all basically the same thing, depending on premium and deductibility levels. This whole socialist wet-dream that is Obamacare merely sets the stage to demand that we all will need to ask permission from Uncle Sam to see a doctor, visit a hospital, and he (they) will direct you in all of their wise benevolence as to what sort of care you deserve. Doctors and other primary care providers will be forced into government approved hospital systems, since their government “exchange” payments will not pay the light-bills in private practice. Those that resist will retire, find something else to do, or… I won’t go there, as much as I’d like. Government approved health insurance, besides being ridiculously more costly for a number of reasons, does not provide better health care, the result will be the exact opposite. Worse health care, lessened privacy, and your health records will be stored and accessed by the government, with the IRS forcing compliance that you must participate in one of their four officially approved plans. retired Secret Service agent Dan Bongino comments about privacy, liberty and the NSA. Seth Lipsky: Reflections on Mark Levin’s brilliant call for a convention of the states. DOJ sued Florida for doing that very thing. Schiff predicted the crash of 2008 in 2005. Will an interesting game of “Chicken” develop? Just a part of why she pled the Fifth? Issa is still due to subpoena her again.